Welcome to this month’s Blogorail Orange Loop. 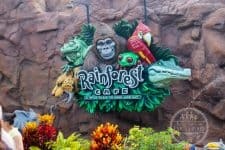 Today we are sharing our reviews Disney Springs hotels & other off property options at Walt Disney World. This stop will look at the Hilton Orlando Lake Buena Vista, a Disney Springs hotel. 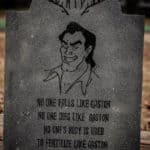 It turns out that there is a middle ground in the on-property/off-property debate. The Disney Springs hotels are a budget-friendly option. 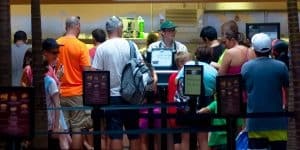 Yet, they are close to Disney and offer some of the perks you might expect from staying on-property at a Walt Disney World Resort. We recently stayed at the Hilton Orlando Lake Buena Vista for a weekend visit. 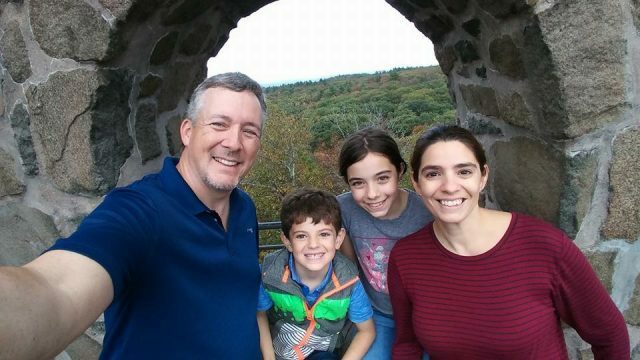 Here’s why we’ll consider staying here again. The Disney Springs hotels are locate on Hotel Boulevard, near Disney Springs. They are technically ON Walt Disney World property. As you make the left on to Hotel Boulevard from Rt 535, there is a large sign welcoming you to Walt Disney World Resort. The Hilton Orlando Lake Buena Vista is the closest hotel to Disney Springs. It’s even closer than Disney’s Saratoga Springs Resort & Spa, our home DVC resort. You can literally walk over to Disney Springs in just a few minutes time. 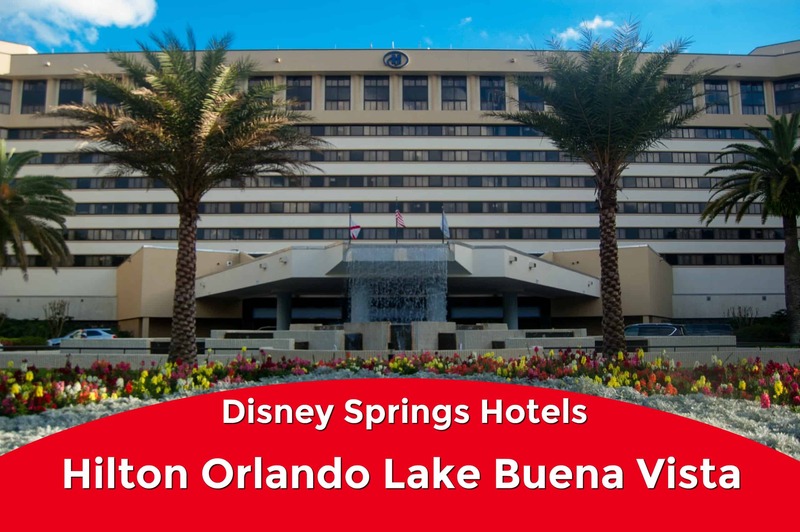 So, if you love having Disney Springs and all its shopping and dining options right next door… the Hilton Orlando Lake Buena Vista or any of the other Disney Springs hotels is good for that. Our view during our stay. You can pay extra for a Disney Springs view. 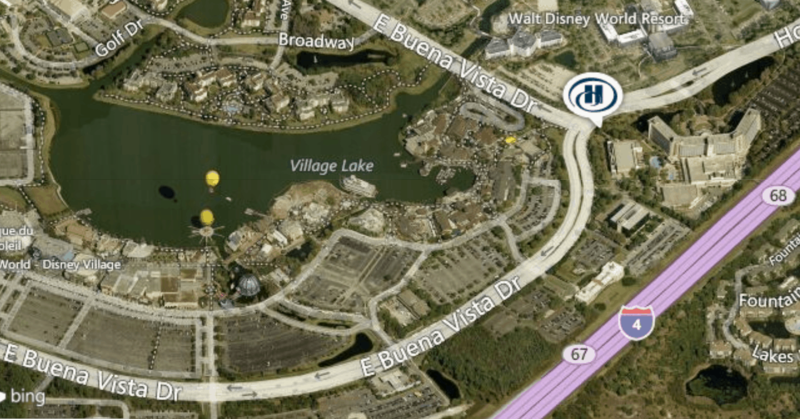 The Disney Springs hotels are also located close to Apopka Vineland Rd (Rt. 535), which means they are close to other shopping and dining options. You could walk to the closest shopping center, or make use of a car/taxi/uber to get to other places nearby. I would say the Disney Springs hotels are comparable with Disney’s moderate resorts. 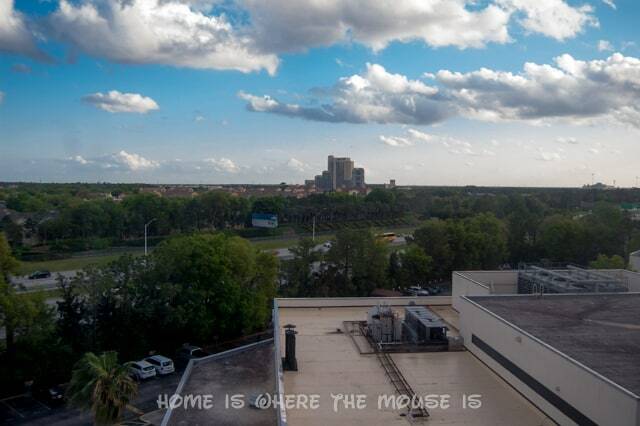 I base that off the types of beds and the amount of amenities you would get, such as pools, restaurants, etc.. With basic rooms as low as $89 per night*, rooms at the Hilton Orlando Lake Buena Vista are cheap compared to Disney’s moderate resort choices. You can also take advantage of rewards programs since these hotels are not run by Disney. *The Hilton Orlando Lake Buena Vista charges a daily resort fee of about $24. Fee may vary by package. 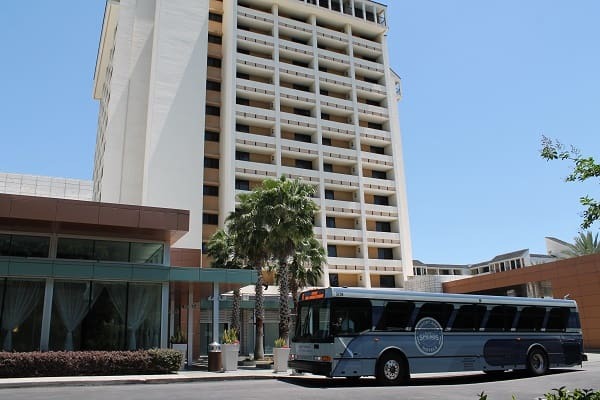 All the Disney Springs hotels offer shuttle service to each Disney Theme Park and Water Park. These run every 30 minutes, which is a bit slower than you’d find at Disney resorts, but better than most off-property hotels. However, there is no option for using Disney’s Magical Express to and from the airport. If you drive or rent a car, there is a daily parking fee of$17 per day at the Hilton Orlando Lake Buena Vista. While these hotels lack the immersive theming of Disney resorts, they do provide some magical touches for their guests. 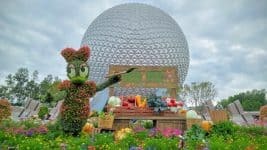 Guests staying at a Disney Springs Resorts can make Advanced Dining Reservations, purchase park tickets at their hotel, and book tee times at the Walt Disney World Golf Courses. 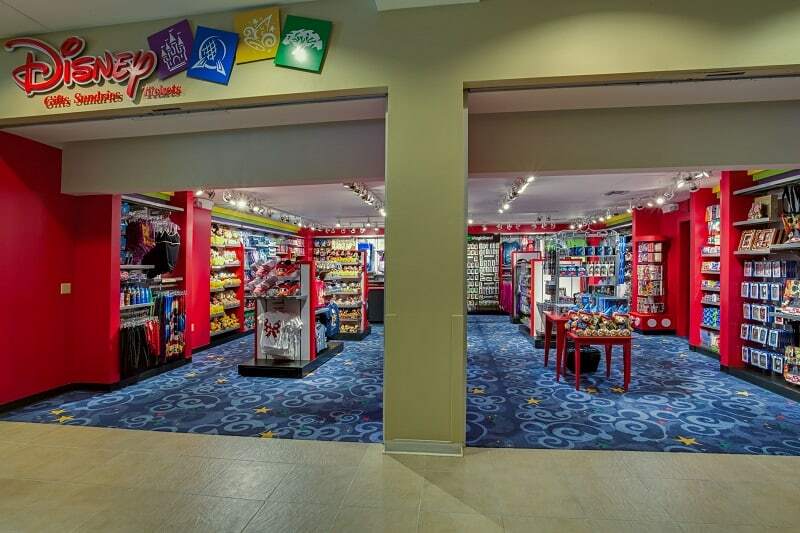 Each resort has a shop with official Disney merchandise. 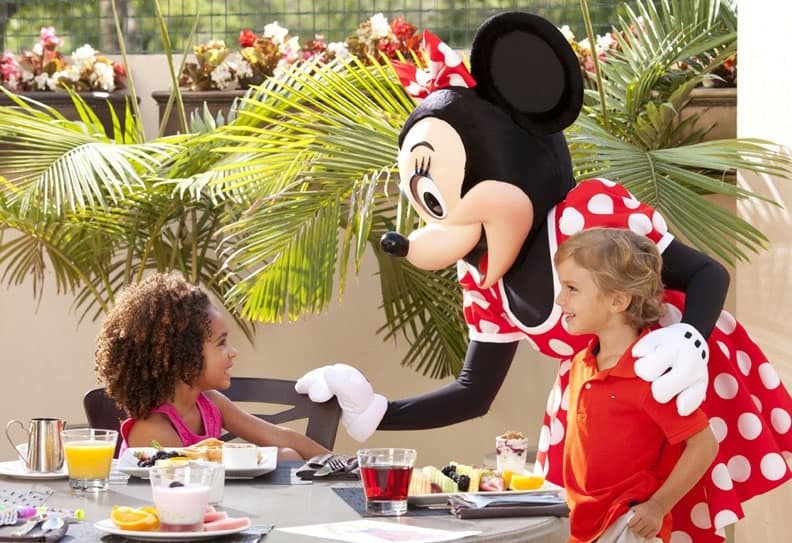 Some, like the Hilton Orlando Lake Buena Vista, offer character experiences such as a character breakfast! The Hilton’s character breakfast is every Sunday morning at their restaurant, Covington Mill. As DVC members, our first option is usually going to be staying on property at a DVC or even another Disney Resort. But, if we were to look at off-property options, the Disney Springs hotels would be the first place we’d explore due to their location, value, and the little touches of magic we could still enjoy. I haven’t had the chance to stay in any of the Disney Spring hotels yet but I have looked into all of them at one point. They really are a great value and I love that most of them are within walking distance of Disney Springs! I’ve stayed at another of the Disney Springs Hotels before but not the Hilton Orlando Lake Buena Vista. Sounds like a great value for the location!